Yakima duo Planes on Paper bring us deep inside their intimate debut ‘Edge Markings,’ a magical tapestry full of stirring poetry and warm folk beauty. Atwood artist-to-watch Planes on Paper caught our ears earlier this year through their single “Two Rivers,” a bittersweet homage to a lost loved one. The band tapped into human depths through little more than propulsive, intoxicating acoustic guitar progressions and emotive singing – a pairing that proves its potency time and again. 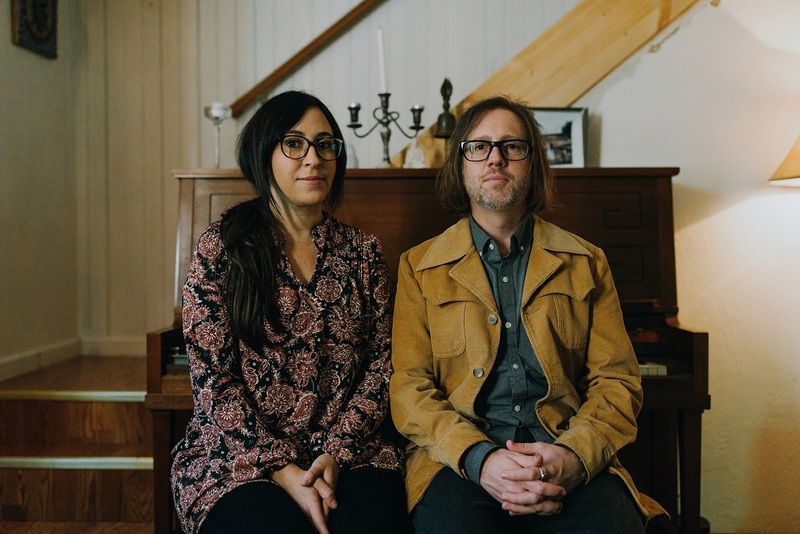 The Yakima, Washington duo of Jen Borst and Navid Eliot have that special spark, and they’ve let their light shine on their full-length debut album Edge Markings (June 2018 via Rainwater Records). A ten-song record full of evocative highs and poignant lows, Edge Markings bears a poetic folk warmth that makes it a perfect summer soundtrack, not to mention a life-enriching listening experience for all times of year. Navid Eliot’s intricate guitar work creates the perfect backdrop for his and Borst’s haunting harmonies. Together, they deliver impassioned songs full of hope for a better tomorrow and reflections on the past; their stories overflow with palpable energy and meaning, whether they’re celebrating love or mourning loss. 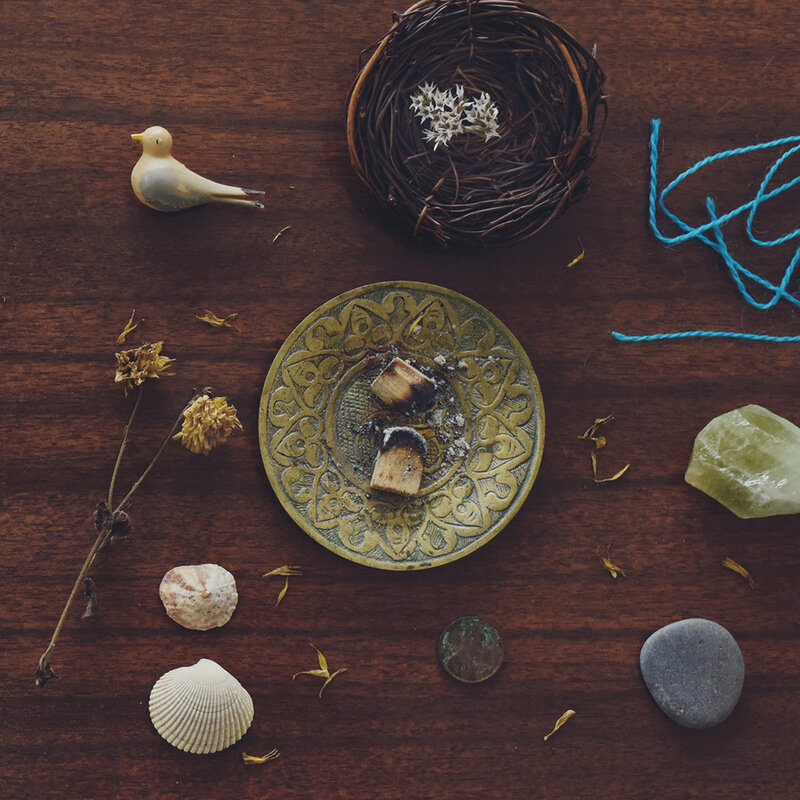 Throughout Edge Markings, Planes on Paper weave majestic tapestries of sound and feeling, inviting us to dwell with them in a place where time stands still; where we step back and observe our world, learn from experience, and commit ourselves to renewal and growth. Some bands just have that magic touch. Hopefully, a little of that magic rubs onto us through Planes on Paper’s debut, allowing each of us to spread their music and their message far and wide. Edge Markings is a thing of sheer and utter beauty, a breathtaking tempest full of vulnerability and intimacy. Folk music has its roots in community and togetherness, and indeed these songs evoke our common bonds and our shared humanity, helping to know down our walls and bringing us a little closer to one another. Seldom does music of any kind resonate with such raw love. Experience the full record below, and peek inside Planes on Paper’s Edge Markings with Atwood Magazine as the band dive in deep, providing their personal take on the music and lyrics of their debut album! I wrote this song after the suicide of a person I loved. It must have been so dark, and so lonely at the end. I sat wishing that I could have had one more conversation with him, or that his mother or sister could have. I wished that any of us could have told him that things ca be better, and that the hopelessness was just in his mind. I realized in that moment that what we have in our minds is 100% real to us. That the loneliness and darkness others have in their mind, is as real anything ever has been to me. Maybe we don’t get the chance to have that last conversation because no one wants to hear that their feelings aren’t a reality. Maybe people suffering that kind of depression don’t want to hear the people that love them begging them to suffer through more darkness. I wrote this song wondering if I’m a strong enough person that I could have given my cousin a last conversation that wouldn’t have made him feel like I was asking him to suffer, or pretend that he wasn’t suffering. I would like to have told him that I love him and that he doesn’t need to be anything other than what he is, whether that means we get to keep him here or not. Like I said, I don’t know if I am actually capable of that. I hope maybe someday I might be. More than that, I hope when confronted with a similar loss, maybe there’s someone who hears this song and feels like I understand what they’re feeling. We did our best with this one to turn a bit of scripture on its head. I totally understand that religious folks are comforted by the idea that this world is temporary, and eternal paradise awaits them afterwards, but I see some serious problems with that way of thinking. A large swath of our brothers and sisters here in America actually believe that the messiah will return and bring an end to this world… and that is the happiest of happy endings in their faith. A vast majority of our elected officials espouse some variation of the belief (it’s tough for non-christians to get elected in much of the country), and I find that to be the absolute opposite of a comforting thought. How can we possibly take care of the environment, when the people in charge feel that the end of this world is their salvation? How can we POSSIBLY end war, when huge numbers of people all around the world think that a nuclear apocalypse may be our role in finally making good on the opening verses of Revelation? Because I feel like the religious are dragging the rest of us towards their much-fetishized apocalypse, via one war after another, I juxtaposed the two verses with some paraphrasing of Ford Madox Ford’s “Antwerp,” a truly dark (and one of my favorites) World War era poem, and a return to the minor key melody (which is itself a paraphrasing of Brahm’s “Denn alles Fleisch es ist wie Gras”). Jen: I wrote this song after reading a story about a guy who became known as The North Pond Hermit. He walked away from his whole life one day, without even having any sort of plan; he just drove his brother’s car until it ran out of gas, then he got out and walked. He ended up in the woods of Maine, and he lived there for 28 years, without any human contact at all, so scared of being found that he never built a fire… through 28 winters… in Maine. It’s a moving story, and I recommend reading it. The hermit eventually got in trouble for stealing food from empty cabins, and told his story (the one I read) from jail. I did my best to sum up what I could of all the things he learned about himself, and convey his communion with nature and his reverence for its beauty and its harshness. If no one knows where you are, does that mean you’re lost? I think we have a choice whether are not we’re going to be lost, and the North Pond Hermit illustrated that for me. The concept of the “Zero summer” was so smart and amazing to me. A winter so bleak that summer becomes unimaginable? A time so cold, so dark, so lifeless, that you can’t imagine it ever ending? It inspired me to write, and this pair of songs are what came from that. I loved the observation that when a situation is truly bad, it’s hard to imagine it ever ending. By the same sentiment, when something is truly great, you imagine it lasting forever. Our concept of time in tied to our emotional state, and that’s tremendously interesting to me. The Zero Winter is love – hot, vast, and all-consuming, and when you are in its fire, you can’t imagine it isn’t eternal. The easier-to-approach half of the pair, Zero Summer, is loneliness, which can be equally all-consuming. I did my best to try to illustrate the idea that loneliness isn’t always a lack of companionship or a lover in your bed; sometimes we can have those things and we still feel isolated and truly alone… and that can be bleak enough that the summer is unimaginable. We actually wrote this song while recording “Edge Markings” and finished it just in time for it to make the record. Trump had just been sworn in as president, and every time we looked at our social media apps, we were witnessing a little more of the ugliness and division that politics seemed to be bringing about. We aren’t experts on politics by any means, but we do know how the climate was making us feel. We were watching the political parties and their devotees act like spouses in a loveless marriage, content to drown each other out with soundbites, or ignore each other, or scream over the top of one another… basically happy to do anything but listen to each other. It hurts to watch, knowing (or at least hoping) that we all want what’s best for the greater good, we just disagree on how to achieve that. We can’t imagine that around-the-clock “news,” working hard to convince us that this is a zero sum situation, and that our ideological opposites are actually our enemies, could possibly be helping the situation. We’re still hopeful that folks might be willing to turn their TVs off, so that someday soon we can all return to speaking and listening to each other in a more effective and compassionate way. This is the most personal song on the record for me. It’s mostly about getting older, and having some time to reflect on what (and who) has been important in my life over the years, for better or worse. Obviously, we’re all still figuring all that out, myself included, but I wonder: if we find all our answers regarding what’s important in this life, will we be able to hang on to them? Will we be able to live in a way that keeps those important things as our priorities? The bridge section is some sort of meta “songwriting about songwriting,” because there’s no way for me to sit and contemplate the important things in my life, without contemplating how songwriting fits in to that. I had this realization, and it became the bridge: I keep writing one more song, because every time I do, I get a tiny bit closer to saying everything I wanted to say the last time; one line I was a little scared to include, or maybe just a thing I wanted to say, but couldn’t figure out how to make sound right. So I keep coming back to songwriting with the hope that one day I’ll get it all down, and that maybe once I write it all down, the meaning of life (or maybe my life) will reveal itself. That’s a crazy thought to even have, and there’s realistically no hope that I figure out all of life’s mysteries in that way, but at this point, I’m still trying, and here’s what I’ve got: it’s my nature to deeply love things that I know can’t last forever, and that’s fine – I am happy knowing I can love people and things without pretending everything in this the world isn’t temporary, and I can miss them when they’re gone, and accept that feeling as the price of joy. Jen: This is a song I wrote for my late grandmother, on the 10 year anniversary of her passing. It’s largely about the sights and smells and feelings I can remember from my days following her around her property on the Olympic Peninsula in Washington. When I think of her, she’s always in same blue house dress, seeming so at peace, showing me the flowers and trees, and guiding me along the beach. From inside her house at night, we could hear wolves (or what I thought were wolves) howling, sometimes for hours. When I grew up and learned more about my grandmother’s life, and about all the less than idyllic things I was oblivious to as a child, the presence of those wolves took on a more ominous, metaphoric quality; as peaceful as the woods seemed, those wolves were out there, and as peaceful as Maxine seemed, she had her wolves as well. The Ruins is a collection of scenes, beginning with my earliest memories of the first person I ever recognized as a friend. His name was Robin and we were both 5 years old. We literally learned to swim together, and later in life, experimented with the more metaphorical deep end of the pool. The next scene is me realizing that at times, as an adult, I have less tolerance than I’d like to have, when it comes to other people’s fatalism and blaming, regarding the tiniest imperfections in their life. I guess that’s how I’m wired. It’s hard not to make comparisons between those tiny foibles and the real life catastrophes I and my old friends lived through, or in some cases, didn’t live through. Either way, no matter how I live in the present, here are the ruins – the wreckage of my past. And no matter how I feel about it, my choice is either to live in that wreckage, or to build the new city and keep close the souvenirs of my history, so as not to repeat it.